We began in 1988 while living in Florida. In 2000 we relocated to North Carolina, but now we're back in Florida! We are Pam & Cary Manaton, the proud owners of the Aussies featured on this site. We are glad to be able to share our beautiful Aussies with you. Dogs have been a part of our lives for as long as we can remember. Cary had dogs growing up in Florida and Pam trained her first dog at the age of 6, a miniature poodle, to respond to all hand signals with no verbal commands. At this point in her life she had no idea where this interest in working with animals would lead. By the time she was 14 she owned her first horse, an Arabian. By the time she was 15 she owned her second horse, a Quarter Horse and was on the road competing in speed events at shows and rodeos approximately 42 weekends a year. By the time she was 19 she bought another Quarter Horse colt. 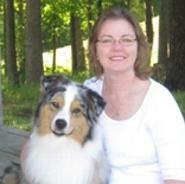 Being involved with horses is when Pam first became interested in the Australian Shepherd. Many "horse" people had them to help out at the ranches and Pam was taken by their charm and intelligence. Pam bought her first Australian Shepherd, Roper, in 1976 to be a companion to her as she traveled to the horse shows. In 1984 she bought her first Australian Cattle dog, Stetson, to be a companion to her Aussie Manacoo's Rusty Wrangler but soon turned back to the Australian Shepherd and never swayed away from the breed again. Pam and Cary met in the late 80's and soon married. She sold her young horse and retired her other Quarter Horse from competition at the age of 20 with many wins under his saddle! He lived to be 33 1/2 years old. It was at this time in her life that she and Cary became involved in a local dog club and soon decided to compete in conformation shows and obedience trials with their Aussies, Fairviews White Collar Worker CD WWKC-CD AX AXJ CGC, "Daisy" and Ridgebrooks Southern Gentleman CD CGC "Cowboy." It was not too many years later that we started training at a professional level in the community teaching basic obedience and general household manners in order to try to help as many dogs become good members of our society and remain in homes versus animal shelters. We also became involved in Aussie rescue. One thing lead to another and after taking some agility training classes for the fun of it, Pam began competing with the Aussies in agility and soon was hooked for life. This lead Pam to a career with the AKC and that's why we relocated to NC in 2000. Although Cary loves training the dogs he turned to another love of his, photography. Together with Pam, they traveled to trials all over the Southeast starting in the early 90's. Cary with his camera in hand and Pam in the ring. Cary's talent as a photographer soon blossomed into a side business on the weekends doing agility action photos for dog clubs. This has now evolved to be his sole livelihood, taking dog show photos for conformation events. You may visit his website at www.ccphotography.net. 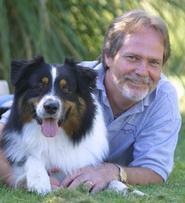 We are currently members of the Australian Shepherd Club of America (ASCA), Carolina Australian Shepherd Club, Cary Kennel Club and Sarasota Obedience Training Club of Florida.We are a small kennel established in 1988 and are AKC Breeders of Merit. Our dogs are ASCA and AKC registered and compete in Agility, Conformation, Herding, Obedience and Rally. We are currently training some dogs a little in Tracking. All our Aussies are OFA'd and eyes are cleared annually. We are located outside of Raleigh/Durham, North Carolina. Our dogs live inside our home with us as part of our family. We have 14 acres of room for them to run, play, practice agility, play Frisbee and of course their favorite activity is swimming in our pool! All of them take their turn sleeping with us in the king size bed; most of the time more than one at a time. One of them can always be found laying under our feet when we're on the computer and any of them are just as content to be on the couch curled up watching TV with us. Now that Pam works from home they take turns curled up under her desk in the home office. They are our children in addition to Cary's two sons who are all grown up now and live in Florida and South Carolina. We were blessed with the addition a grandson in 2007 too! Well enough about us, lets go look at the kids!